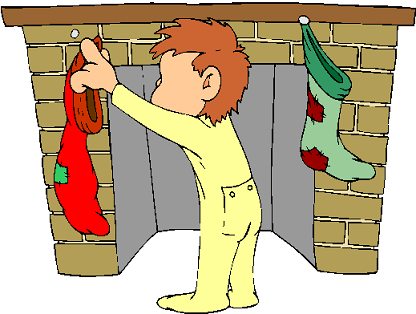 It is traditional (since at least the 19th century) to hang up stockings (preferably by the fireplace if you have one) on the night of Christmas Eve. When Santa Claus comes, he fills the stocking up with Christmas presents. If you wish to, you can also leave some carrots out for Santa Claus' reindeer, and a thank you note for Santa too!